The following text exchange took place late on the evening of February 2. Punxsutawney Phil. The weather-predicting groundhog. The one thing Phil is known for is seeing his own shadow and running for cover for six weeks. Ever wonder what that groundhog thinks he sees when he sees the shadow of a groundhog? An IRS auditor? An Amway salesman? His mother-in-law? Whatever he thinks he sees, he sees bad news. The circumstances in which he encounters this bad news don’t help. IT’S COLD OUT THERE. So what does he do? He runs for cover and hopes to hide from the bad weather and the mother-in-law. Ever approach bad news the same way? Our human nature is to run for cover when we hear something we don’t like. But that’s not the best solution. Look at Punxsutawney Phil. He comes out of his hole six weeks later and the odds are the shadow—the thing that scares him—is still there. Groundhogs do not offer a good role model on dealing with bad news. 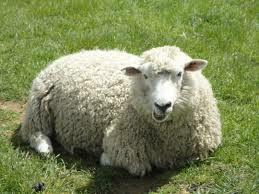 Sheep, on the other hand . . . well, we always hear of how dumb sheep are, but at least they never run from their own shadow. The Bible doesn’t address the issues of groundhogs—not even in the new modern translations—but it does talk about sheep and shadows. And in the process, we can learn a lot about how to face bad news. The 23rd Psalm uses the analogy of a sheep with the shepherd. Right in the middle of the psalm we read: “Yea, though I walk through the valley of the shadow of death, I will fear no evil” (v. 4). Did you see it? Right there in this short verse are three ways we can handle bad news. Let’s compare that to the advice Dr. Phil– Punxsutawney Phil—would offer us. Face the bad news. Phil would tell us to hide in the hole, wait it out, and hope it goes away. That’s nice if we’re talking about the weather, but a lot of bad news just doesn’t go away. The sheep doesn’t avoid the valley; he still walks through it. See the big picture. In spite of the wide open beautiful scenery surrounding Gobbler’s Knob (Punxsutawney Phil’s home), Phil only sees the shadow. When we focus solely on the bad news, it grows in size and blots everything else out. But let’s see what the sheep sees. First, he sees it as a valley. For there to be a valley, there must be hills and mountains, high place where there are no shadows. The sheep knows he is walking through a valley, but he’s going to come out to a better place. The sheep also acknowledges what Phil fails to see: it’s only a shadow. Shadows aren’t the real thing. Sometimes a shadow may seem ominous—just like some news we hear—but shadows can’t hurt us. That’s not to dismiss the seriousness of some of the news we hear. A loss of a job. Death of a parent. Cancer. But it helps to see things in the context of the big picture. Even the eternal picture. To see things from God’s perspective. I think the key reason the sheep could walk confidently with the shepherd through the valley was because he had walked through other valleys with the shepherd. Hope—our trust in God for what lies ahead—is always grounded in our faith—our trust in how God has worked for us and been with us in the past. Walk with the shepherd. It’s easier to see the bad news in the context of life’s bigger picture when we walk hand in hand with the one who holds the big picture. There is an intimacy in the 23rd Psalm. The shepherd is not encouraging the sheep from a distance; he is walking right alongside the sheep. We have the comforting, loving, all-knowing, all-powerful presence of God. How does God walk with us? His assurance as we pray. The powerful comfort that comes through reading and meditating on His Word. The encouragement of other Christians. God our Father desires to walk with us and He places the rest of the family—our brothers and sisters in Christ—right there to walk with us. Too bad for Phil. He faces his shadow alone. Bad news is just that: bad. And let’s not sugar-coat it: a lot of those valleys are hard to walk through. But you still have to ask yourself: am I going to be a groundhog or a sheep? Punxsutawney Phil has missed out on a lot with his self-help approach, but when you read the 23rd Psalm, you sense the joy the sheep experiences, even in the midst of the valley. So what’s it going to be: joyless living in a hole . . . or a whole life of joy? I’m going with the sheep, because He’s going with the Shepherd. 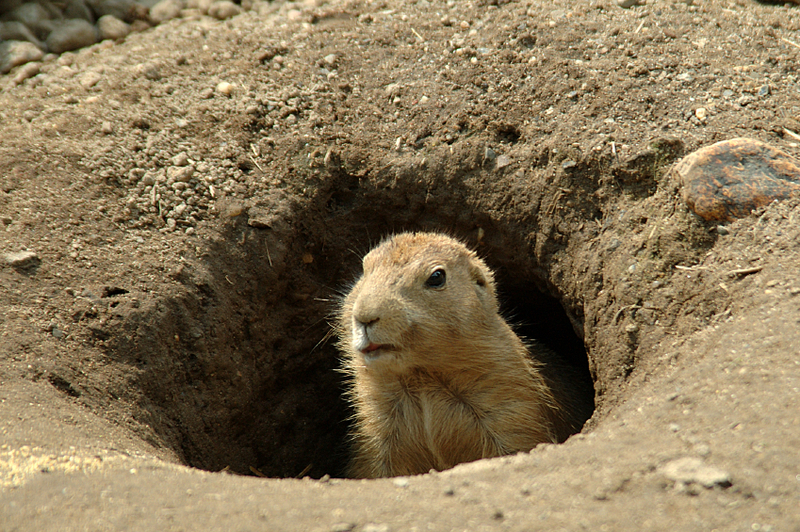 The tradition of Groundhog Day, or some semblance of it, can be traced back to the fifth century. February 2 was viewed as the mid-point of winter, and farmers in Germany tried to predict how long winter would continue by observing the hibernation habits of bears. When Germans settled in Pennsylvania, they brought the tradition with them and changed to the groundhog who also hibernates. Which brings us to Punxsutawney Phil. Since 1887, the good people of Punxsutawney, Pennsylvania have trekked out to Gobbler’s Knob to see if Punxsutawney Phil sees his shadow. Phil has been well-known for years—he’s been on TV with Oprah and has visited President Reagan in the White House—but his popularity dramatically increased with the release of the movie Groundhog Day (1993). Now as many as 38,000 people flood the town of Punxsutawney each year to see Phil do his thing. How often is Phil right? Since 1887, Phil has predicted an early spring 12 percent of the time. Of course, the fine residents of Punxsutawney say Phil has never been wrong. This article originally appeared in HomeLife magazine.